Tanz der Vampire, or, in Finnish, Vampyyrien tanssi, is currently playing in Helsinki. 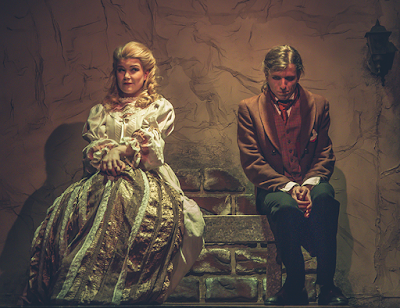 The new production, produced by Helsingin kaupunginteatteri, stars Anna Victoria Eriksson and Raili Raitala as Sarah and Jonas Saari and Mikko Vihma as von Krolock. 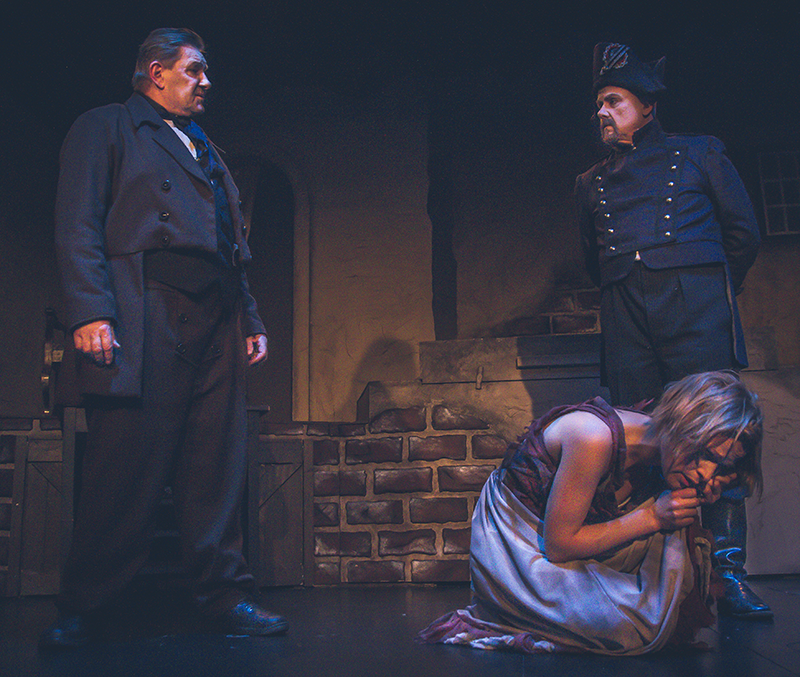 In this interview, the actors share their views on portraying a vampire onstage and singing while wearing fangs. 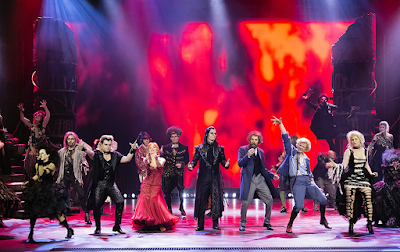 Composed by Jim Steinman and written by Michael Kunze, Tanz der Vampire is one of Central Europe’s most popular musicals. 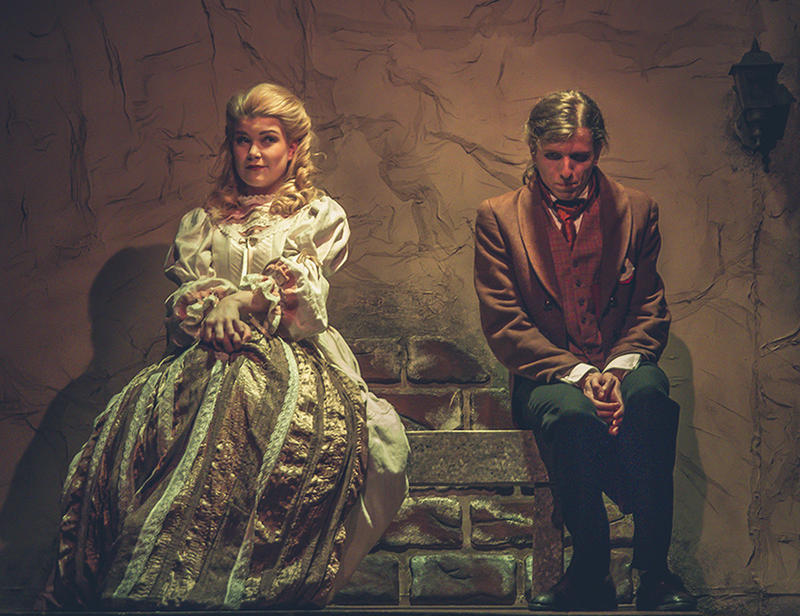 The musical, based on Roman Polanski’s comedy horror film The Fearless Vampire Killers, premiered in Helsinki in February 2016. The production’s limited run ends in late April. The cast features a Finnish vampire veteran. Raili Raitala played Sarah in the first Finnish production of the musical that premiered in Seinäjoen kaupunginteatteri in 2011. She mentions that she first encountered the story years before the Seinäjoki premiere. “When I was a teenager, I arrived home one night and found my mother watching a film on TV. I sat down to watch it with her – and almost died of laughter. The movie was Polanski’s Fearless Vampire Killers. Years later, when the manager of Seinäjoen kaupunginteatteri was describing an upcoming musical production to me, the story somehow felt very familiar...” Raitala recalls. Eriksson, Saari and Vihma, then, only knew the basic storyline of the musical before being cast into the new production. 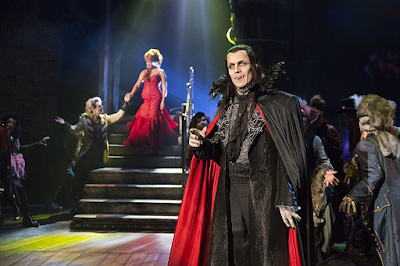 Before the musical premiered, Jonas Saari delved way deeper into the world of vampires. “Some actors want to approach new roles without looking into others’ interpretations. I, on the other hand, watched every single Tanz der Vampire video I could find on Youtube. That way, you can find out about different ways to portray a character. I especially enjoyed Thomas Borchert’s interpretation of von Krolock,” Saari recounts. Raitala, having performed in the musical previously, notes that it was fun returning to Tanz der Vampire. In the Helsinki production of Tanz der Vampire, two actors alternate in almost every leading role. Both casts rehearsed the show together. “I have stolen a lot from you,” Anna Victoria Eriksson confesses to Raili Raitala. “Here we go again. Acting and singing – it’s nothing but stealing. We steal from Youtube, we steal from each other. It’s only when you can’t find anything to steal that you have to come up with your own ideas,” Mikko Vihma jokes. “We watch each other’s interpretations closely, even though we’re working from our own points of view,” he adds more seriously. “Of course the conductor or the director might tell us that even though something works when your alternate is doing it, it’s not really working for you, so let’s try something else. On the other hand, they never told us not to come up with our own interpretations. We got a lot of freedom when working on our roles. Usually, the two alternate casts don’t mix. Raitala and Vihma play Sarah and Krolock in every second performance, while Eriksson and Saari star in every second show. Sometimes, however, the actors cover for their alternates and perform with different castmates. “It’s exciting to go onstage with Raili. That keeps you awake, in a good way – oh, so you do this scene like that,” Saari says. 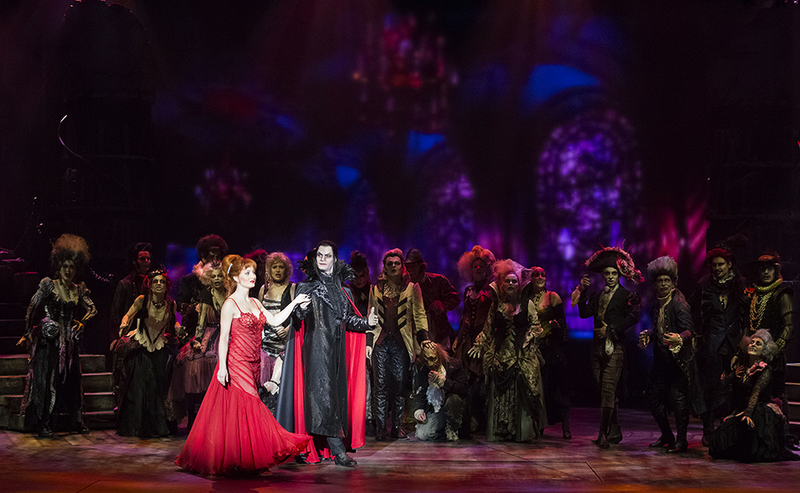 In every second performance, whenever they’re not playing the lead, the actors cover an ensemble track as Transylvanian peasants and vampires rising from their graves. “That’s why we have two alternating casts, so we can take it a bit easier every other night,” Raitala adds. “Of course, we could do this like they do on Broadway and in West End, with no one alternating in between principal roles and ensemble. That might result in cutting some corners, though. The way we’re doing it, we’re able to give our best and then some every time it’s our turn to play the starring role,” Saari says. 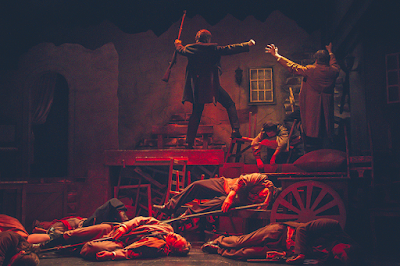 “Unlike most actors on Broadway and in West End, actors in a Finnish repertoire theatre such as Helsingin kaupunginteatteri rehearse new productions every day while performing other productions at night. It would be tough to play a leading role six times a week while rehearsals are going on,” Raitala explains. “Many of Helsingin kaupunginteatteri’s previous musicals have had understudies instead of alternates. It’s however difficult for an understudy to keep up their part if they don't get chances to play it. Two alternating casts is a nicer option for the actors and a safer choice for the theatre,” Vihma sums up. Fangs make the count. Mikko Vihma as Count von Krolock. The Finnish vampires of course have teeth to match the job. Sometimes, the vampire fangs cause a bit of trouble. 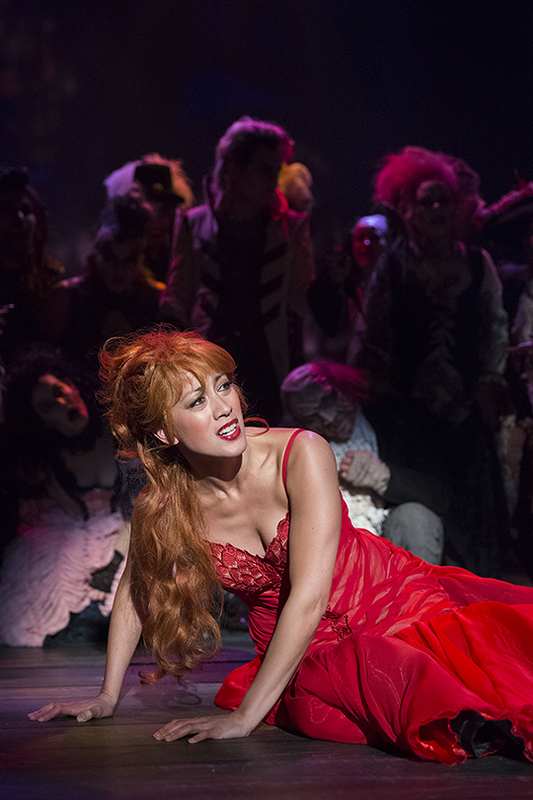 “The fangs are one of the most stressful things about this production! There’s a scene where we have to put our vampire teeth on really fast. But what if they have broken while hidden away in our costume, or disappeared somehow?” Raitala and Eriksson both laugh out loud. “A couple of times, while putting on my vampire teeth, my hair has gotten stuck in them. Trying to pull the hair out, the teeth have then almost fallen out of my mouth,” Raitala continues. It’s not easy for the vampire counts, either. “There’s a scene where von Krolock descends from the ceiling, wearing wings like Batman. That’s difficult. The wings are supposed to open up, but we have to use quite a bit of force to make that happen. At the end of the descent, we’re singing from a weird position,” Saari says. “My shoulder’s been hurting so bad, I can hardly get the wings to open,” Vihma mentions. The teeth cause some problems for von Krolock too. “When wearing them, you have to be really careful with your articulation. The bigger the teeth, the harder it is to get your S’s to sound right,” Saari says. “It’s hard to sing with my ensemble vampire teeth on. As for von Krolock teeth, it’s not too bad. My jaw feels a bit sore, though, since I tend to hold it in a strange position when wearing the teeth,” Vihma adds. Count von Krolock has entered the bathroom. The story of Tanz der Vampire has many possible interpretations. It can be seen as a silly vampire parody, but it’s also possible to look at it as a dark story that handles such themes as sexuality, growing up, death and immortality. No matter which way you look at it, the events center around the characters of Sarah and Count von Krolock. “Sarah is full of life and curiosity,” Raitala sums up her character. “She wishes for something new in her life,” Eriksson adds. “In contrast to Sarah being full of life, von Krolock’s fire is burning out,” Saari says about his character. “The Count is stuck in his old ways,” Vihma continues. The actors go on to discuss the relationship in between their characters. “For centuries, von Krolock has lived in his castle, with only Koukol and Herbert for company. Small wonder that a young beautiful girl from the nearby village catches his attention,” Vihma laughs. “Older people in Sarah’s village already know to beware of the vampire count. But Sarah isn’t afraid of anything. We’ve been wondering if Sarah is completely naïve or aware of what she wants,” Saari recounts. “But isn’t she at that age where at the same time, she is the both?” Vihma ponders. Having a charismatic vampire count show up in her bathroom changes Sarah’s life for good. “We don’t think it’s true love. It’s more like a teenage crush mixing with lust,” Eriksson and Raitala summarise Sarah’s feelings. Young vampire hunter Alfred, played in Helsinki by Petrus Kähkönen and Miiko Toiviainen, also has an important part in the musical’s romantic storyline. “Had von Krolock never visited Sarah’s bathroom, who knows what might’ve happened. Maybe Sarah and Alfred would have had a happy ending,” all four actors agree. 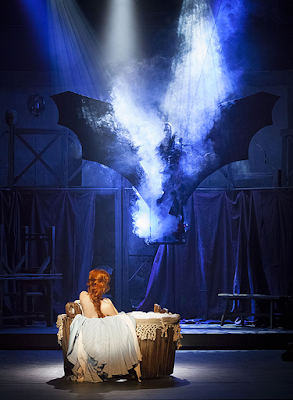 Tanz der Vampire had passionate Finnish fans during Seinäjoen kaupunginteatteri’s production already. The interest has carried over to Helsinki. Compared to international Tanz der Vampire fandom, the Finnish fandom is still very small – but by Finnish standards, only a handful of musicals have ever been met with such enthusiasm. The actors marvel at some of the fans. 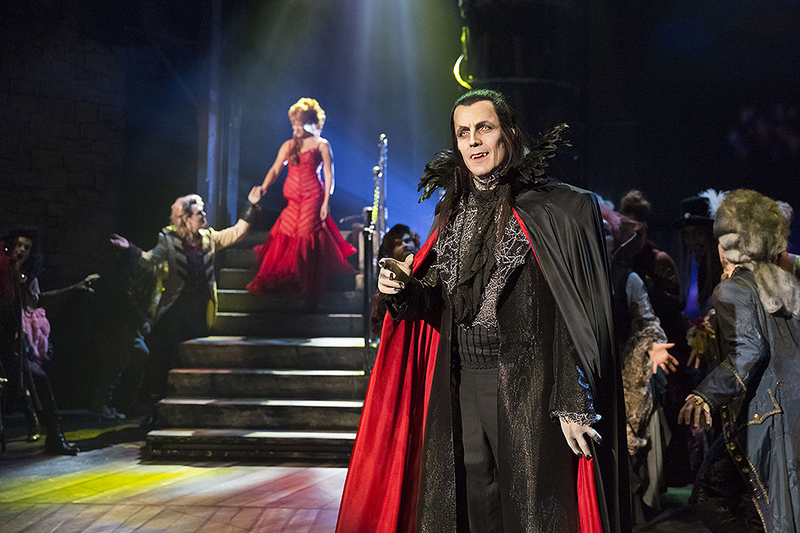 In many Central European theatres, Tanz der Vampire fans stay behind after the show to meet their favourite actors at the stagedoor. In Finland, there is no stagedooring culture. Even if someone wanted to give it a try, they might end up disappointed. Peacock Theatre, Tanz der Vampire’s Finnish home, is very small, so sometimes actors leave the building before all audience members are even out of the door. The actors have a tip for vampire fans. “Around here, it’s very rare to have musical fans who want to meet you. Of course we enjoy it. It’s our job to serve the audience,” Vihma sums up the cast’s feelings. The vampires have also caused a stir online. On Twitter, the #vampyyrientanssi hashtag updates several times each day. There are dozens of blog posts and over 750 vampire photos on Instagram. By Finnish standards, these are huge numbers. What’s more, many foreign fans have also sent their greetings to the Finnish vampires, liking posts on Facebook and sharing them on Tumblr. Sometimes, the actors take part in the fandom’s discussions too. “I’ve met more fans on social media than in real life, actually. But then again, talking on Twitter is just a different type of a meeting,” Saari says. “In blogs, there are pages and pages worth of analysis about each character. It’s incredible to see how well the fans know this musical and how deeply they feel about it,” Vihma adds. Tanz der Vampire started one of the weirdest Finnish theatrical discussions in recent memory. In the first promotional photos for the Helsinki production, Mikko Vihma’s von Krolock wore a mustache. Fans expressed their support and especially their disdain for the Count’s new look loudly and proudly. The actors laugh about the incident. “There has never been a production of Tanz der Vampire with von Krolock wearing a moustache. We thought we’d go for something new in that respect. In the end, however, we decided it’s easier if the character doesn’t wear a mustache after all. That way, there’s no need to grow any facial hair or to put fake mustache on before every show,” Vihma explains. “So it wasn’t because of the fans that we gave up the mustache,” he adds, laughing. The mustache discussion mirrors many other Tanz der Vampire discussions, in both Finnish and international fandoms. Different productions and interpretations are discussed in detail and sometimes the conversation gets a bit heated, with fans almost arguing about different portrayals. An interpretation that’s different from the usual may result in both applause and angry fans. “Tanz der Vampire has been performed by countless casts. Sometimes, a certain performance leaves such a strong impression no other can really compare. I think that’s understandable,” Saari says. “No matter what you do, you can never please everybody. So it’s nice to notice each interpretation has its own fans,” Vihma adds. Also read my Vampyyrien tanssi review!